Dubai Investments is leading a consortium of investors to found Arkan Bank, a Dubai-based company for sharia-compliant banking, it was announced this morning. The Islamic financial institution will have an initial paid-up capital of $100m. Arkan Bank’s authorized share capital will be $500m. In a statement, Arkan Bank said it is in the process of applying to the Dubai Financial Services Authority (DFSA) for approval for a prudential Category 5 licence to operate as an Islamic financial institution. 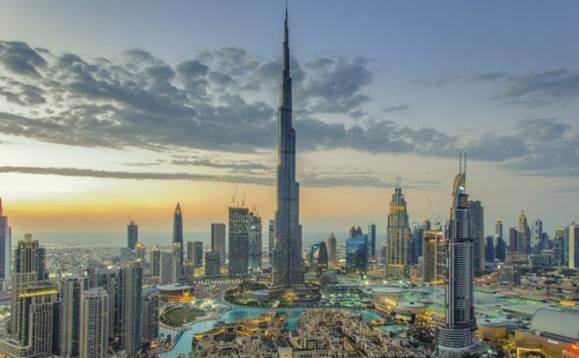 It will be the first home-grown Islamic bank to operate from Dubai International Financial Centre (DIFC), the statement added. Khalid Bin Kalban, managing director and CEO of Dubai Investments, and the founder and chairman of Arkan Bank. Dubai Investments has announced plans to lead a consortium of investors to launch Arkan Bank, a wholesale Islamic financial institution with an initial paid-up capital of $100 million. The authorised share capital of Arkan Bank will be $500 million, the investment company said in a statement. Arkan Bank is applying to the Dubai Financial Services Authority (DFSA) for approval for a prudential Category 5 licence to operate as an Islamic financial institution. This will be the first home-grown Islamic bank to operate from Dubai International Financial Centre (DIFC), the statement added. The bank will offer a fully integrated range of Sharia-compliant banking services and investment products serving the needs of ultra-high-net-worth individuals, corporate as well as institutional clients through its core business lines of corporate banking, asset management and awqaf, Investment Banking and Treasury. Arkan Bank also plans to list its shares on Nasdaq Dubai within 12 months of establishment, subject to the fulfilment of listing guidelines and regulatory approvals. Khalid bin Kalban, managing director and CEO of Dubai Investments, and the founding chairman of Arkan Bank, said: “The launch of Arkan Bank is coming at an opportune time in the UAE Islamic banking landscape. Arkan Bank is poised to achieve phenomenal success, as it will be the first wholesale Islamic bank operating in the UAE.